What happened to technology from your childhood? Ever wondered what happened to some of the technology you used to use every single day? Many think of technological advancements as a one-way street, forever onward and upward. To be sure, once clever new bits of tech like answering machines and boxes of neatly arranged punch cards have likely been relegated to the scrapheap of history for good. There are, however, some bits of technology that hold on long past the expiration dates set by experts in the field and, in some cases, even the manufacturers of the products themselves. Whether it’s nostalgia of the users, the timelessness of their designs, or some people simply rediscovering technology of days past, some technology is frankly too good to simply fade away. What follows are bits of tech you’ll undoubtedly remember from your youth that have experienced surprising second acts in their long lives. Believe it or not, sales of vinyl LPs are at a 28-year high as of last year. Driven by the annual Record Store Day promotion designed to get people to visit record stores and by audiophiles and enthusiasts’ preference for analog recordings, the format that seemed to be on its way out many times over is in better shape now than it’s been in a generation. Record labels are also resurrecting classic albums, making it easy to sooth the regret of donating a favorite vinyl to Goodwill years ago to make space. Record stores also deal in lovingly kept used records, many in surprisingly good condition. If you haven’t been to a record store in years, drop by one and see for yourself just how little has changed. The smell of vinyl mixing with the heady aroma of boxes of incense, the racks of music and magazines, and knowledgeable employees have all remained relatively untouched. Typing classes in high school and in universities were once as common as entry-level coding classes are today. It was seen as an essential and lifelong skill that, in part, was key to upward mobility. Being able to type quickly and accurately remains a vital skill for many workers today, albeit on Bluetooth keyboards popular in modern offices and homes. There is, however, a devoted community of typewriter aficionados who continue to revere and meticulously maintain these machines. 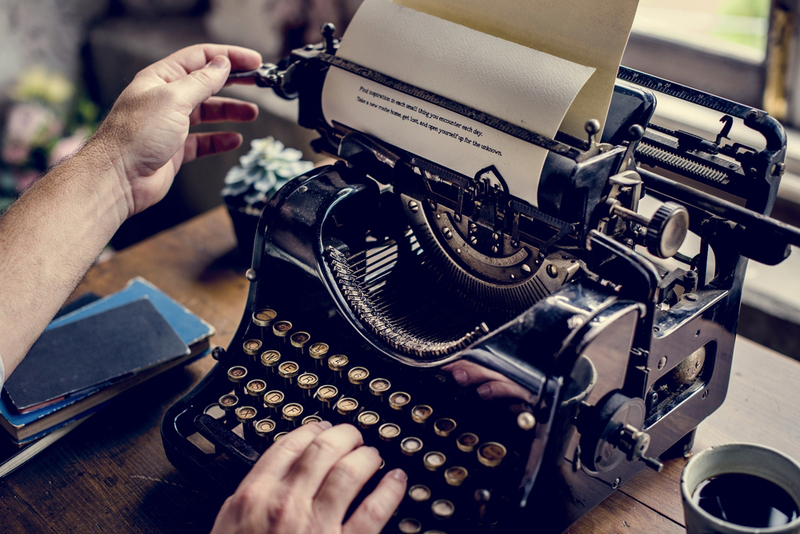 “California Typewriter” is a recently released and well-reviewed documentary that explores the motivations and, in some cases, obsession of people who prefer typewriters over all else. The film centers around a family-owned typewriter shop in Berkeley and features appearances by typewriter enthusiasts like musician John Mayer, Pulitzer prize-winning author David McCullough, and Tom Hanks, who owns, by his own estimate, more than 250 typewriters, mostly in excellent working order. The fax machine is a staid survivor in the business world, with even the most modern tech company’s offices still maintaining at least one of these trusty machines. Most will be surprised to know that the technological underpinnings of fax machines predate even the telephone, as they were developed as a sort of crude device that operated using signals sent over telegraph lines. It wasn’t until the early 1960s that Xerox introduced the first Telecopier, a temperamental machine that required extensive training to operate and weighed a whopping 46 pounds. As time rolled on, machines became cheaper, smaller, easier to use, and mercifully ditched the rolls of paper universally despised by anyone who’s handled them. If you thought email had made them obsolete, think again. In the United States, fax machines are still in demand for legal documents and contracts that require signatures, as electronic signatures are still not recognized by law. Fax is still widely used in government, law, and international businesses. It seems as though excessive 1000+ watt home entertainment systems are all one can find these days at a Best Buy or Costco. Requiring seemingly miles of cables, drilled wall mounts, and a trained expert to properly configure, it is understandable why a lot of consumers choose to simply not bother. Enthusiasts who frequented hi-fi shops staffed by experts were once commonplace in college towns and small cities throughout the country. While most of them may have shut their doors years ago with the influx of stereo equipment in the 1980s and 90s, that Marantz or Sansui receiver from your college days you have stashed away might be more valuable than you realize. Have a quick look at eBay and you’ll see many of these classic components have held their value quite well. The equipment is also still useful and projects a warm, full sound not found on consumer-level systems today, while the quality construction makes this equipment easy for experts to service or repair. Replacing a worn-out stylus is also easier than ever with several internet-based companies ready to guide you through the process via email or by phone. Lastly, vintage equipment has a more sophisticated aesthetic than the dull, black boxes of today, lending your den or living room a one-of-kind look. In the final weeks of summer 1977, the Jet Propulsion Laboratory and NASA launched Voyager I and II on what was to be one of the most ambitious missions of exploration ever undertaken by the agencies. The mission plan, drafted ten years earlier, had the goal of expanding humanity’s knowledge and understanding of the solar system’s outer planets and what lies beyond them. In addition to reporting back to Earth, both crafts carry a golden 12-inch record, entitled “The Sounds of Earth,” intended as a sort of time capsule describing who we are and the diversity of life and culture on Earth to any civilization that might encounter the craft. The Voyager twins’ journey continues to this day, each having traveled some 13 billion miles and drifting into interstellar space. While no other spacecraft has gone so far from Earth, they continue to operate many of their instruments and antennae, and are slated to keeping working well into the next decade, continuing to provide astronomers and scientists valuable information more than 40 years into the mission. They will continue on indefinitely as a testament to humanity’s sense of curiosity and noble desire to explore and understand our solar system.